When you save a schedule template, it is available under "Import a Template" in the Import Window. If you want to delete a saved Template from that list, you can do so. 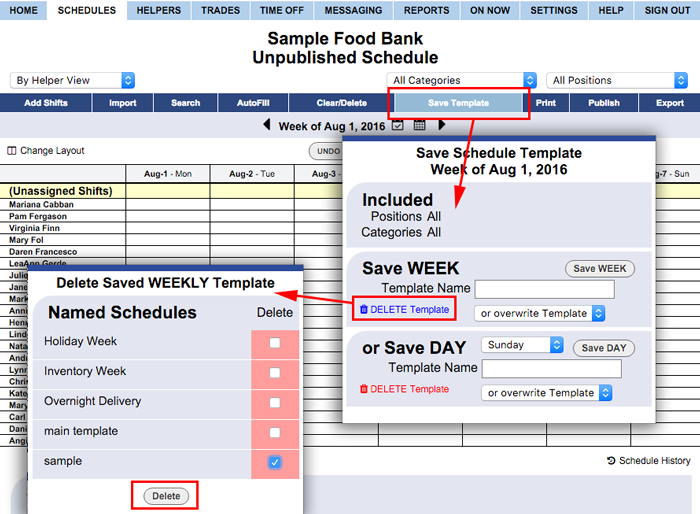 Deleting saved templates does not affect any created schedules or the ability to import regular weekly schedules by the date.